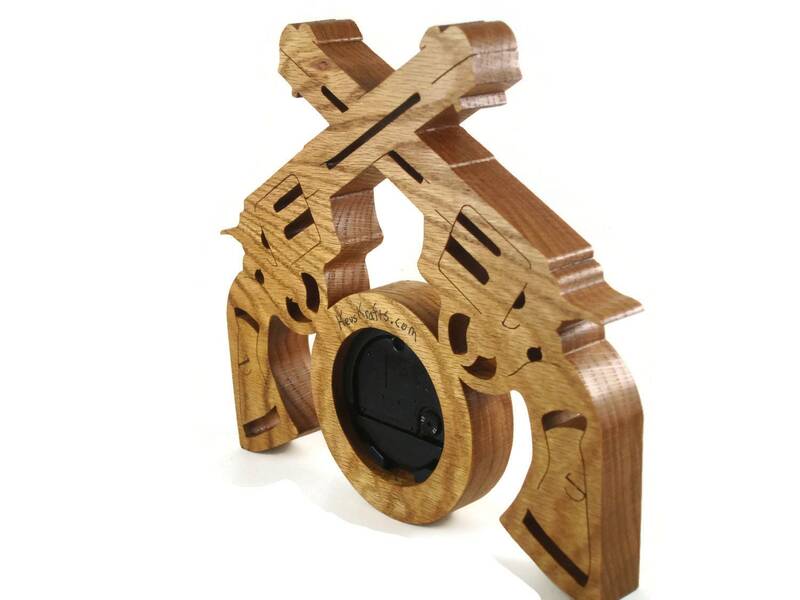 If you or someone you know likes guns specifically revolvers & pistols then this is the perfect gift to get for yourself or that special friend that needs to add some unique style to the home, office, garage or man-cave. 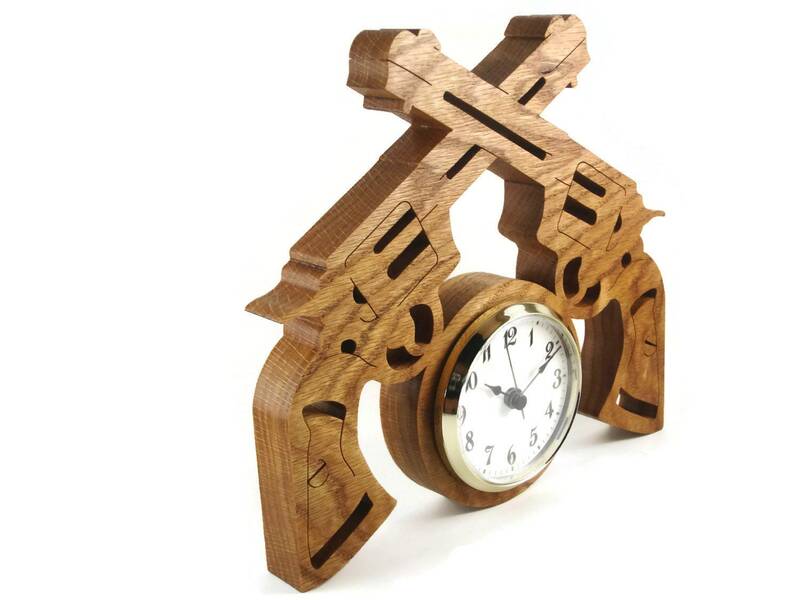 The six shot revolver clock was cut by hand ( Handmade ) from Oak wood. 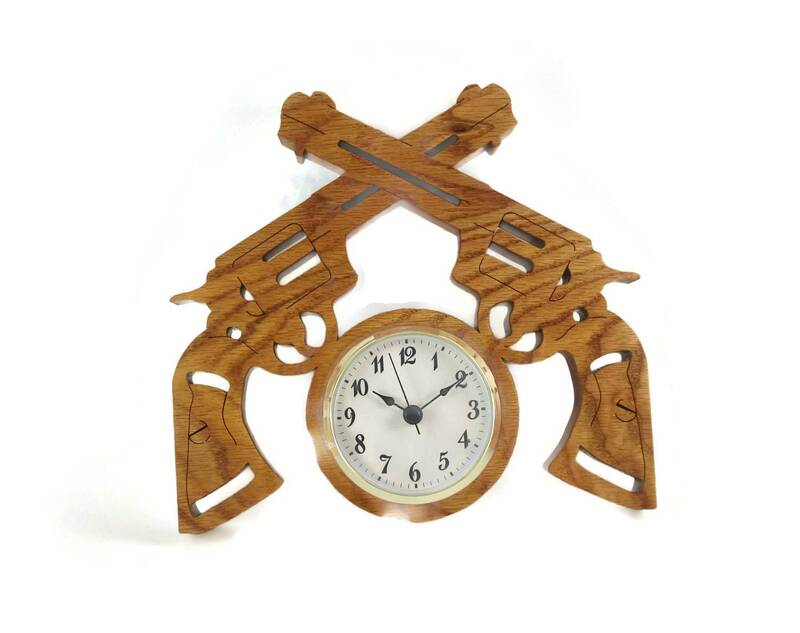 This features two revolvers facing each other with the clock in the lower center. 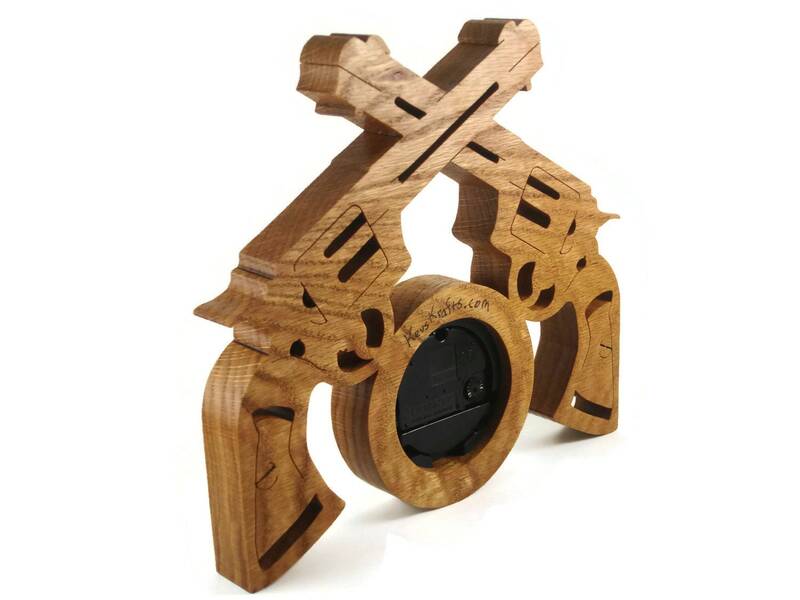 A homemade finish consisting of beeswax and mineral oil was applied for a natural wood look while protecting the wood from the elements. 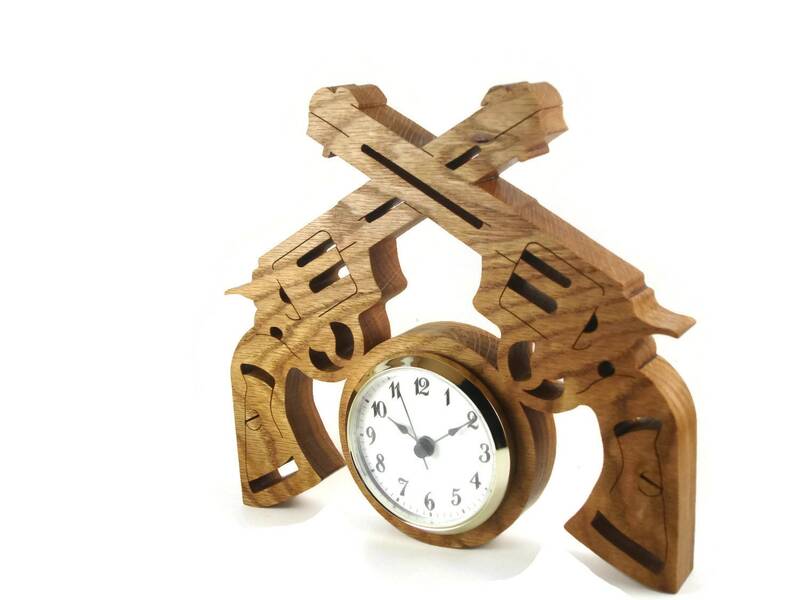 There is no hanger for this design.. you would need to have a hook, or nail to hang this up through the center cutout just above where the clock insert sets..